Psoriasis is more than a skin condition. It can affect one’s confidence in social situations, causes stress, anxiety, and great physical discomfort. 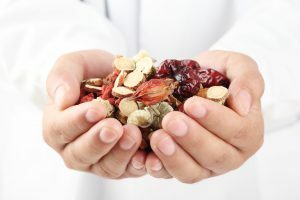 After trying medications with harsh side effects and therapies that don’t work, many people turn to Chinese medicine, which has been helping people with psoriasis and other skin conditions for thousands of years. Traditional Chinese Medicine is a holistic medicine that understands a skin condition is not only what it looks like on the skin but how it effects the whole person. Once the imbalances are corrected, your body can work to heal itself and stay healthy. I like to say this is like hitting the reset switch. In this case, resetting the immune system. One of the phenomenal aspects of Traditional Chinese Medicine is that it can lead to long-term reduction in psoriasis. We will first have a consultation in which we will discuss your complete medical history and the development of the psoriasis. This, along with looking at your skin, will provide the information needed to identify the nature of the psoriasis. The therapy, herbal formulas and acupuncture, are customized to address the specific type of psoriasis you are experiencing. 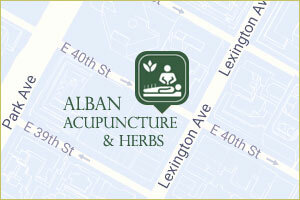 For example, if you have hot type psoriasis, your herbal formula would consist of cold herbs that reduce the heat. If your psoriasis is from dryness, then herbs that moisten the skin will be used. In Chinese medicine, not all psoriasis is the same. (2) The goal of treatment is to determine the specific imbalance underlying your condition. This is based upon the appearance of the psoriasis and presence of any other symptoms, such as itch, pain, or irritation. Whole body symptoms such as digestion, chronic sore throats, allergies, and colds are also considered. Blood Heat: Skin diseases caused by heat are reflected in redness on the skin. The size, shape, and shade of the red patches will indicate the level of heat. Blood heat is characterized by acute onset of psoriasis with possible severe itching. In blood level heat, dark red plaques will cover a great amount of skin. The size and extent of the lesions suggest the amount of heat. The greater the number, and the larger the lesions, the greater the degree of heat. Blood Dryness: Blood dryness occurs with chronic cases of psoriasis. Itching may or may not be present. The lesions can appear pale or dull red in color. The scales may appear to be dryer with blood dryness. Blood Stagnation: Blood stagnation also occurs when there is long-term chronic psoriasis. It is often characterized by cycles of remission and relapses. The plaques are irregular, hard, thick and may be purplish in color. TCM herbal medicine is a standard therapy for psoriasis throughout China. Herbs are given in formulas that contain a combination of many herbs, each one having a healing function geared toward resolving the underlying disharmony. Herbs are often given in teas or pills as well as external soaks and creams, which are very important for psoriasis treatment. This article is for educational purposes only does not serve as medical advice. Please consult a Chinese Medicine Practitioner before taking Chinese herbal medicine. For addressing blood stagnation, the herbal formula will include herbs that nourish and stimulate the movement of blood. Dan shen (Salvia miltiorriza) is also known for moving and nourishing the blood. Dan shen has been shown to inhibit the secretion of inflammatory cytokines IFN-γ and IL-12 active in psoriasis. Licorice root, or gan cao (Glycyrrhiza uralensis), is widely used in Chinese medicine for all types of psoriasis, as it boosts qi and harmonizes the effects of other herbs. It has long been known to not only reduce inflammation, but also enhance the immune system. Studies show that it can also help to repair damaged liver cells. Menter A, Stoff B. Psoriasis. London: Manson Pub. ; 2011. Tse, T. W. Use of common Chinese herbs in the treatment of psoriasis. Clinical and Experimental Dermatology. 28: 5. 469-475. 2003. Yang X, Chongsuvivatwong V, McNeil E, et al. Developing a diagnostic checklist of traditional Chinese medicine symptoms and signs for psoriasis: a Delphi study. Chin Med. 2013; 8: 10. Published online 2013. Jeon YC. Treatment for an Adult Patient With Psoriasis with Traditional Korean Medicine, Especially Sa-Am Acupuncture and Herbal Medicine. J Acupunct Meridian Stud. 2016;9(2):88-92. Ping S, Lysvand H, Yuhe Y, Wali L, Iversen OJ. Expression of the psoriasis-associated antigen, Pso p27, is inhibited by Traditional Chinese Medicine. Journal of Ethnopharmacology. 127 (2010) 171-174. Muluye RA, Bian Y, Alemu PN. Anti-inflammatory and Antimicrobial Effects of Heat-Clearing Chinese Herbs: A Current Review. J Tradit Complement Med. 2014 Apr;4(2):93-8. Deng S, May BH, Zhang AL, Lu C, Xue CC. Topical herbal formulae in the management of psoriasis: systematic review with meta-analysis of clinical studies and investigation of the pharmacological actions of the main herbs. Phytother Res. 2014;28(4):480-497.